Hello! 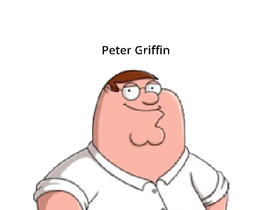 Peter Griffin here. I am the super mega busting best coder ever. Please make sure to be an epic gamer. I live in Quahog at Rhode Island, and I have 69 followers! Wow! I am working on Family Guy! Make sure to see the new episodes on Season 17! Go see on FOX at 8/9 central time!